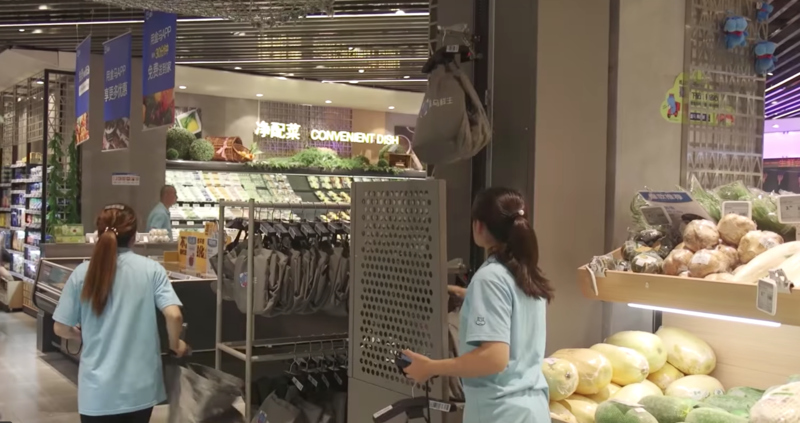 The arms race to build the future of grocery stores is heating up in China. To no one’s surprise, the main contestants are the country’s e-commerce titans Alibaba and JD.com, which are turning offline for growth. Long before Amazon bought out Whole Foods for $13.7 billion last year, Alibaba was making offline forays by forging partnerships with a department store operator, an electronics retail heavyweight and, more recently, a prolific hypermarket chain. 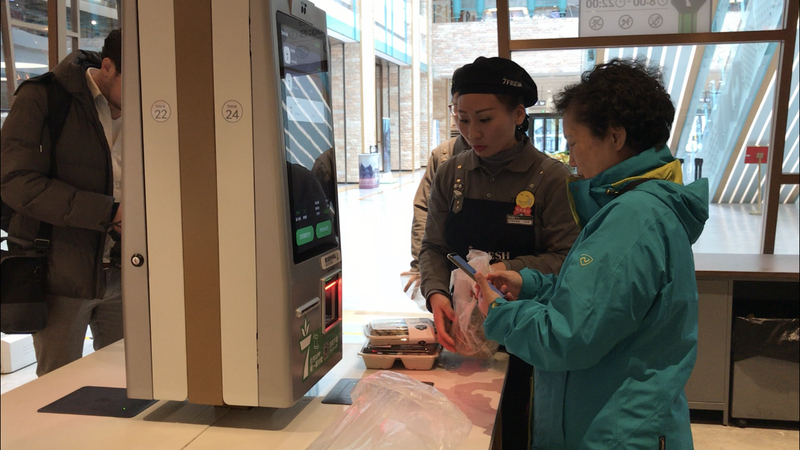 The purest manifestation of Alibaba’s physical push came in July 2017 when it rolled out Hema, a supermarket store that features cashierless checkouts and a robotic restaurant at one branch. Since opening, Hema has been rapidly expanding and now operates in 80 locations across China’s megacities, with the help of a few franchises. Meanwhile, JD is trailing closely through a flurry of deals with key brick-and-mortar players like supermarket group Yonghui and the American giant Walmart. JD, of course, conjured up its own digital-first grocery store called 7Fresh. The supermarket opened this January and has since added three more locations, though JD’s founder and CEO Richard Liu had an ambition for 30 by the end of 2018. I recently visited one of them in Beijing and, as it turned out, it shares a lot of similarities with its opponent but also diverges in some aspects. Unlike most supermarkets in China, the 7Fresh store I visited sits in a low-density community away from lively residential neighborhoods. You will need to drive or hail a taxi there, or do what JD.com wants you to — order online. Upon arrival, you will immediately notice some of the Whole Foods rustic chic. An array of fruits, vegetables, fish, meats, artisan bread and imported drinks lie graciously on wooden shelves, punctuated by 7Fresh’s dark green brand color. Well, perhaps slightly more futuristic than its American counterpart. The a-ha moment comes when you get to the fruit section, which lets you scan barcodes on meticulously wrapped items. Details of the fruit then pop up on a screen above your head, showing where it comes from, how sweet it is, et cetera. It says this particular pear I have comes from China’s northeastern Liaoning province, with a sugar level at 8 to 12 percent, and is recommended by 99 percent of the customers who bought and reviewed it on the 7Fresh app. Yes, to shop at 7Fresh, you must download its app and register an account. Hema exercises the same mandate. The implication is that shoppers will help themselves at checkouts, although there is still human staff on hand to assist the less digital savvy. The drill won’t be new to most Chinese people, as millions of them already shop online and pay offline with their smartphones every day. When done with scanning products, you pay with JD’s digital wallet or the more popular WeChat Pay, the payment solution linked to Tencent, a major shareholder in JD. “Customer conversions now take place anywhere within the three-kilometer range on people’s handsets. It’s all happening invisibly,” Zhao Heshan, a Shanghai-based farm produce supplier for several major Chinese e-commerce platforms, told TechCrunch. Like Hema, 7Fresh doubles as a warehouse and distribution hub, and so is larger than the old-fashioned grocers, which focus on capturing in-store traffic. The most forward-looking device in the store is arguably its ceiling conveyor belt — though it still requires human help. Once a customer places an order online, an in-store fulfillment staff packs it up in a bag and loads it onto the conveyor belt. The item then zooms across the store over your head to a nearby delivery center, a system that also powers Hema. As such, Hema and 7Fresh are going after users online and trying to digitize those who used to shop at brick-and-mortars. As of September, online sales account for more than 60 percent for Hema stores that are 1.5 years or older, Alibaba says. With the addition of physical footprints, e-commerce players gain a deeper understanding of how people shop and can thus optimize logistics efficiency. 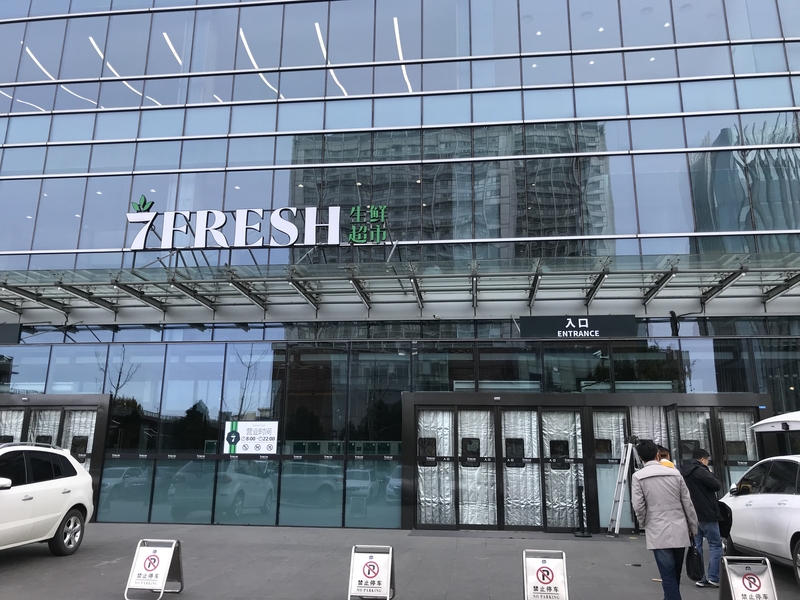 “Consumers in different regions behave differently, so 7Fresh uses that as a foundation and customizes inventory at each store accordingly,” said president of 7Fresh Wang Xiaosong to press when the first store opened. Both Alibaba and JD have continued their old playbooks at physical stores, with the former running a marketplace model that takes a cut from merchants, and the latter staying consistent with direct sales. That holds true to how the rivals handle deliveries. While Alibaba relies on a network of third-party logistics services, JD has its own in-house fleet, which could be costly to operate. An offline push, however, could boost revenues for the online retailer. “Richard Liu has talked about feeding JD’s one million or so delivery staff. Growing online orders from 7Fresh could help him fulfill that promise,” Zhao observed.